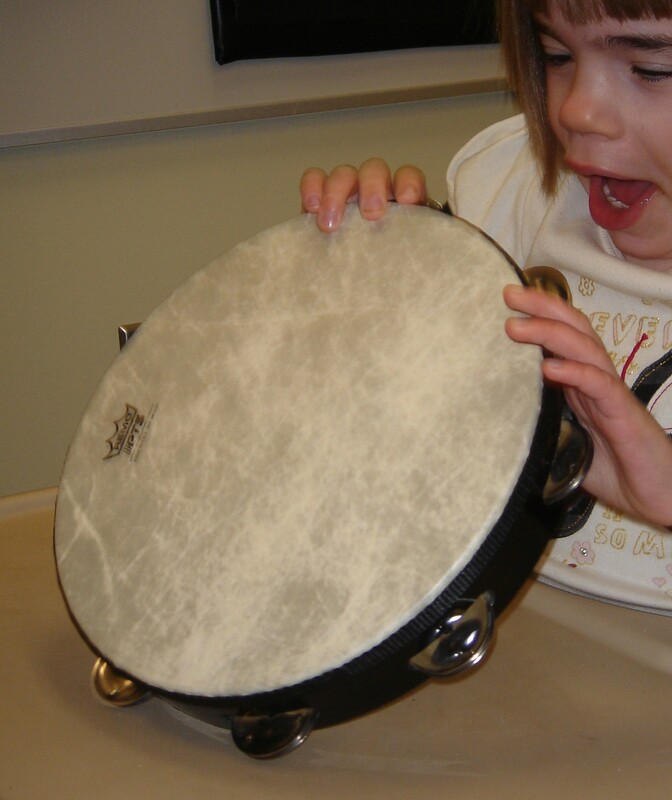 Music Therapy can make all the difference for special needs children. Our article from the April 2015 issue of Utah Family Magazine outlines how. Music Therapy can also address areas of communication, focus, and interaction. A 15 year old with a severe seizure disorder had a goal on her IEP to learn her home address. Her teacher worked for two years to help her memorize the address, only to have her move two months later. A bit flustered, her teacher asked me to see if music therapy might help her memorize the new address more quickly. I set the address to a familiar tune then worked with her once a week for 10-15 minutes on memorization. 11 weeks later, she knew her address by heart, and could accurately repeat it when asked one year later. A 14 year old with Cerebral Palsy struggled to put more than 1-2 words together without using scripted phrases. When asked to repeat a 4-5 word phrase he froze and was unable to make any verbalization. I began working with him and put desired phrases to a rhythm to help elicit speech, and in the first session he was able to string 6 words together with rhythmic support. He continued to progress until the rhythmic support was gradually faded out. A 7 year old with High Functioning Autism was extremely anxious about engaging in social interaction. Despite this anxiety, he was willing to play an instrument in a group setting and take turns playing and listening to his peers. Over several months, he progressed from making no verbal interaction with peers to asking his peers questions when prompted to do so. Playing music as a group enabled him to feel comfortable with nonverbal social interaction, which then translated to increased comfort with verbal interaction and generalized to other settings as well. A 5 year old boy with Autism struggled with transitions. He would scream, lay on the floor, and kick every time he was asked to change locations or activities. I created a transition song for him which identified what he was doing before transition, what he was going to do, and continued to support him during the transition by singing about what he was doing. After 4 weeks he showed a significant improvement in his ability to transition and was able to change locations with minimal prompting. Music Therapy is offered in private settings, schools, and various types of facilities and hospitals throughout Utah. It is considered a related or supplemental service and can be included on a child’s IEP or IFSP if deemed educationally necessary by the IEP team and subsequent evaluation. If you would like more information, please visit the website for the American Music Therapy Association (www.musictherapy.org) or the Utah Association for Music Therapists website (uamt.org) to find a Board-Certified Music Therapist (MT-BC) in your area. Jaycie Voorhees, MM, SCMT, MT-BC is a Board Certified Music Therapist and mother of two children ages 3 and 1, with another on the way. She completed her undergraduate degree in Music Therapy at Utah State University and received a Master’s of Music in Music Therapy from Colorado State University. She is the Director of Harmony Music Therapy, LLC and specializes in working with special needs children. She currently serves as the President of the Utah Association of Music Therapists and is very passionate about her work.